Our Agriculture & Community Farming volunteer project in Jamaica combines elements of farming and agricultural management with a more community focussed role. The project is open to volunteers taking a gap year, career break, or even a volunteer holiday and you do not need any specific experience to volunteer on this project; just a keen interest in agricultural issues and a desire to help the Jamaicans working within this field. Volunteers working on the Agriculture & Community Farming project in Jamaica will work with the Christiana Potato Growers Cooperative Association (CPGCA) to support and promote ‘protected agriculture’ as a way forward. 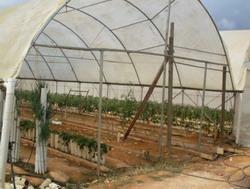 Protected agriculture involves farming in greenhouses to limit the effects of poor weather and insects. 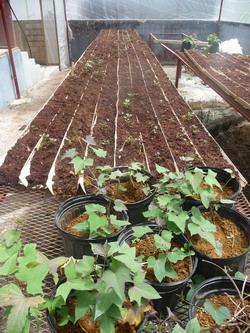 The greenhouses also take up 10 times less land. The CPGCA is located 30 minutes north of Mandeville and was established in 1959. The organisation promotes protected agriculture and has been operating continuously for almost 50 years with the full support of the community. 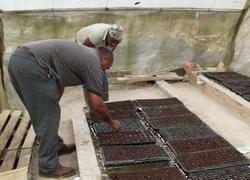 It now represents some 4,000 small farmers in 5 parishes. Its mission is to provide consistently high quality products and excellent services to farmers and customers, and to focus on the growth and productivity of the cooperative to the benefit the wider community. The aim is to assist local farmers to increase their yield and quality of their harvest.